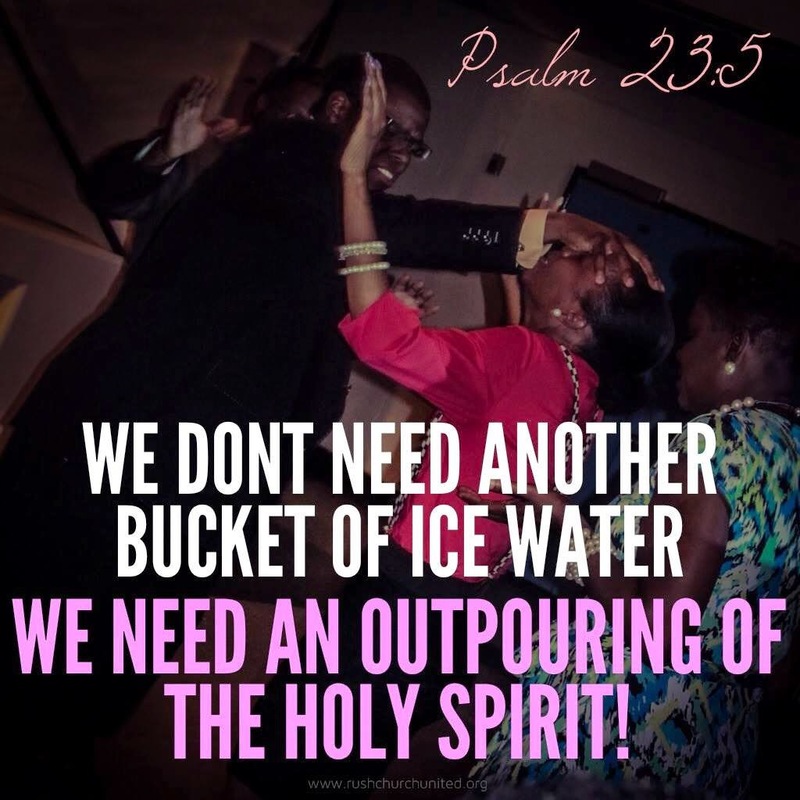 A verse about living water may have been a better choice in my opinion but the poster still gives a good message. Don't you agree. I saw this picture on my FB timeline. I found it interesting in what it had to say. As many will know the Ice Bucket Challenge was started to raise money and awareness of ALS (MND). The ALS Ice Bucket challenge requires the nominated person to either donate money to the ALS charity or have a bucket of ice cold water dumped all over their head. Is ALS the right charity to support in the research of cures and cares for Motor Neurone Disease as it is known here in the UK. Less than 28% of monies raised actually go towards the actual research. You can read more about that here on the ALSA website. The website Infowars shares some tips on prevention as well what has been discovered to be triggers for this disease such as pesticides and statin drugs used to reduce cholesterol. One thing I will say is that people power is still alive and well. 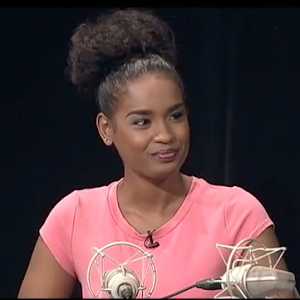 Social media is making it easier to raise awareness of certain causes. So well done in raising funds and awareness. I have heard of MND before so it is not an unknown disease to me and many. There are some charities I do support when I am able. However going forward I will make an extra effort to ensure the charities who get my monies have similar ethics and morals as myself. If you are in the UK you can further help your chosen charity by adding gift aid to your donation. Gift aid allows the charity to claim back the tax of the money you donated. You must be a UK tax payer for this option to work though. Acts 20:35 In all things I have shown you that by working hard in this way we must help the weak and remember the words of the Lord Jesus, how he himself said, ‘It is more blessed to give than to receive. 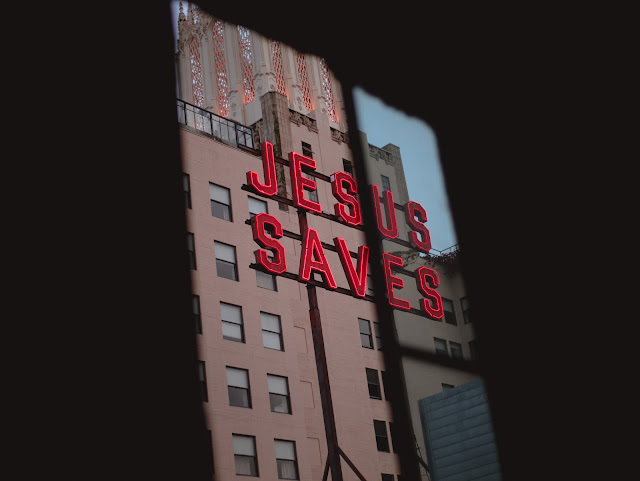 Film maker Darren Wilson has set out to create a film that takes him around the world, whose lead is taken from the Holy Spirit. There will be a free worldwide premiere on 6th September 2014 and can be accessed here. You can also take a look at their Facebook Page which has regular updates and inspirational. 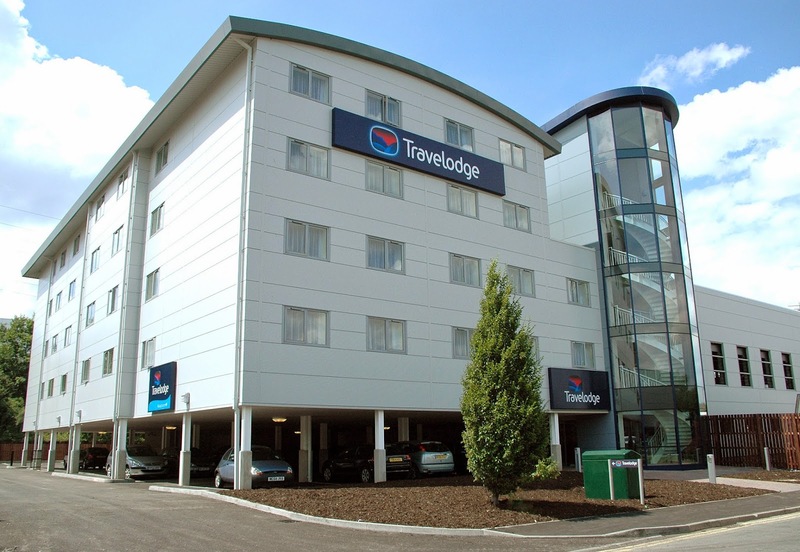 Travelodge which has a portfolio of 500 hotels has decided to remove all Bibles from every single room. They say that Bibles will be available at reception for those who request it. This move has been noted as a measure to ensure non-Christians are not discriminated against. Other national hotel chains still keep Bibles in rooms. Many of which are provided to them for free by the The Gideon Society. I still have my Gideons Bible I got from school many years ago. I think travelodge has a right to keep whatever they choose in their hotel rooms, however their reasoning is flawed. They should just simply say they do not wish to stock Bibles anymore. All this stuff about discriminating against non-Christians is why in the UK today a tradition such as Christmas lights and the Nativity is being axed under the guise of diversity and multicultural inclusivity by councils and schools. Yet these same people welcome celebrations of other faiths by non-Christians by the same breathe. 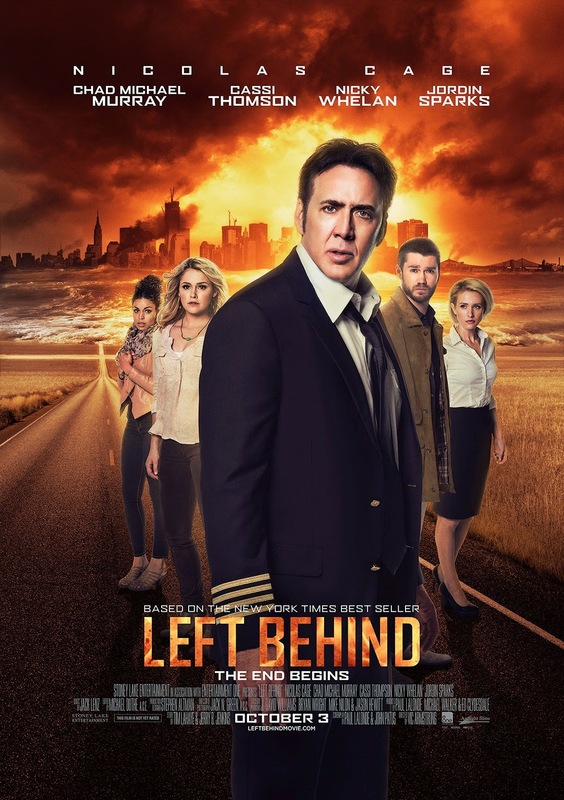 Left Behind is a movie based on the book of the same name by Time LaHaye and Jerry B Jenkins. The original movie was made in 2000. The 2014 release has been given a complete Hollywood makeover and now stars Nicolas Cage. I have read that the remake does not hold true to the original and that there is a lot of artistic license given. The books and films are based around the coming Tribulation times as described in the Bible. The movie focuses on a time when those who are saved are taken up out of earth as earth continues to fall into chaos and desolation. So what does the Bible say about the great Tribulation and will there be a Rapture as showcased in the movie Left Behind? For contextual purposes it is worth reading Daniel 9:20-27 The 70 weeks prohpecy. 21 For then there will be great tribulation, such as has not been since the beginning of the world until this time, no, nor ever shall be. 22 And unless those days were shortened, no flesh would be saved; but for the elect’s sake those days will be shortened. The movie and the book seem centred around what some describe as a pre-tribulation rapture. 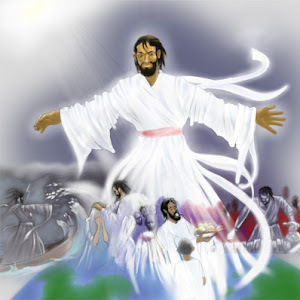 Though in the Bible it explains that when the Son of Man is to return amongst the many signs given such as the red blood moons, earthquakes in divers places etc, the rapture seems to come under the umbrella of signs. So during the tribulation times the saints who are sleeping and those on earth are to be gathered up in the clouds as described in 1 Thessalonans 4:17. Not everyone is to endure the chaos that is to ensue during the end times. 37 But as the days of Noah were, so also will the coming of the Son of Man be. 38 For as in the days before the flood, they were eating and drinking, marrying and giving in marriage, until the day that Noah entered the ark, 39 and did not know until the flood came and took them all away, so also will the coming of the Son of Man be. 40 Then two men will be in the field: one will be taken and the other left.41 Two women will be grinding at the mill: one will be taken and the other left. 42 Watch therefore, for you do not know what hour[f] your Lord is coming. 43 But know this, that if the master of the house had known what hour the thief would come, he would have watched and not allowed his house to be broken into. 44 Therefore you also be ready, for the Son of Man is coming at an hour you do not expect. .....“These are the ones who come out of the great tribulation, and washed their robes and made them white in the blood of the Lamb. 15 Therefore they are before the throne of God, and serve Him day and night in His temple. And He who sits on the throne will dwell among them. I do not believe you will get the full context from the movie. As the movie is based on a book whose storyline is based on events from the Bible. I have seen the 2000 movie and it does include many Biblical references including the anti-christ and the two witnesses at the wall. It may just prove a powerful tool and a gateway that allows for discussion with others. I do encourage you to read the BIBLE itself and look up the verses that discuss end time prophecy. Speak to your pastor or Bible study group or someone you know who is a Christian and well versed on this topic. Do your own research too! I have shared verses to show what the movie is based around. Also to show that the great tribulation which is to come is not a Hollywood scenario but a real life one that will take place and the signs are already in place and already showing. Let us prepare for the King's return. 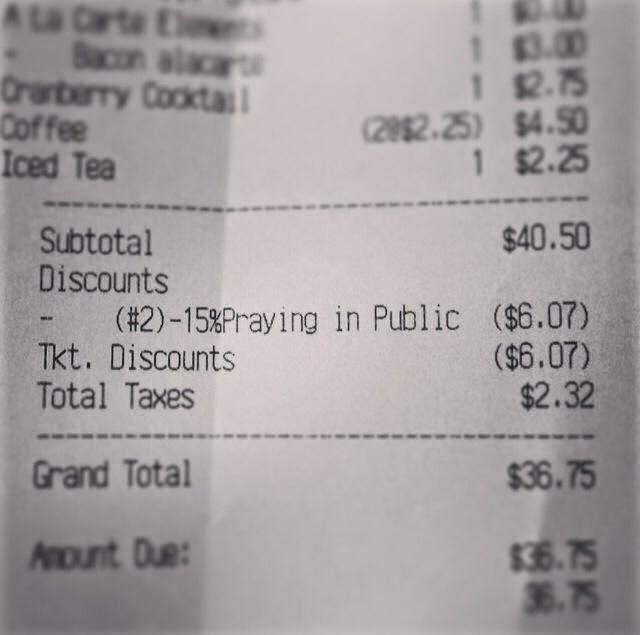 Mary's Gourmet Diner in Greensboro, North Carolina quietly offered its customers a discount for praying in public. This practice was not advertised it was simply given to those who prayed over their food. Customers only found out when they got their bill. America's civil rights laws however has meant that this practice could not continue even though it was not based on one religion just on the act of praying. An atheist group contacted the diner about this so called infringement. The group is called Freedom from Religion Foundation. I would have thought a group that is about being free from religion would not care about what any religion or religious people are doing. Regardless the discount and the gesture it offered has been received well by many people across the web. One thing it does remind us, is that we should not be afraid to pray publicly. Read more about this story on BBC News Trending Topics.